When the herbaceous punch of environment-friendly Chartreuse joins fresh cucumber and also gin, the outcome is ultra-refreshing. 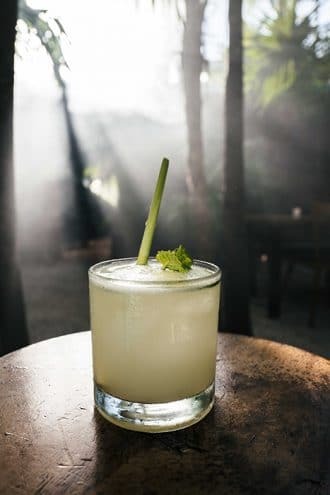 At Arca in Tulum, bartender Diego Valencia smartly makes straws from lemongrass adheres to reduce plastic usage at a bench. In a shaker, jumble the cucumber with the easy syrup and also lime juice. Include the gin, environment-friendly Chartreuse and also ice. Shake up until cooled, after that stress right into a rocks glass over fresh ice. Garnish.